Hair reacts both to acids and alkalis. Each hair has little scales, like scales on a snake or shingles on a roof. Acid makes the scales lie down flat, which makes your hair shiny and smooth. Alkali on the other hand makes the scales stand up, which makes your hair look dull and feel rough and tangled. 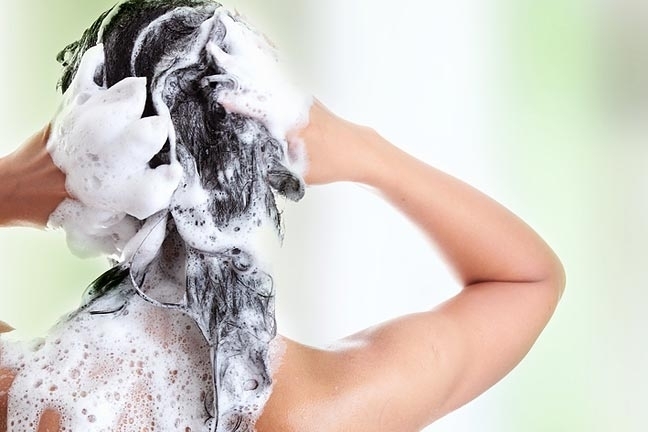 If you use soap to wash your hair in hard water, then the combination of your hair’s scales standing up and the soap forming scum makes your hair into a terrible mess. Then, since your hair’s all tangled and rough, it’s impossible to rinse out all the soap, which makes it look terrible. Shampoo, being detergent, can rinse out of your hair fine even in alkaline water. That’s its only good point. 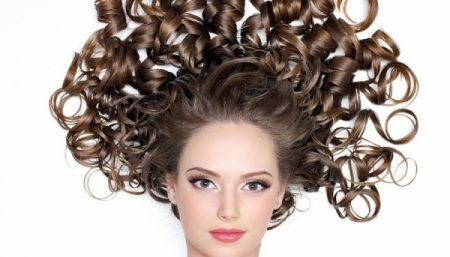 Its bad point is that it’s very harsh, and damages your hair permanently. Conditioner on the other hand puts artificial oils in your hair, and they stay there just long enough so that you don’t associate the damage to your hair with the shampoo that caused it. You have to wash your hair every day, not because it always gets dirty so fast but because the oils from the conditioner don’t last and have to be replenished. Conditioner wasn’t used until shampoo came about. Remember that your hair’s dead. That exposes half of shampoo advertising as lies. Remember that shampoo is just detergent. Remember that the oils your hair needs come naturally out of your scalp, as they’ve been doing for thousands of years before conditioner was invented. Nothing that is claimed about shampoo and conditioner is true. Soap is good to wash your hair with. Forget all the dregs of misinformation spread by shampoo manufacturers, and forget that soap is “harsh”. Remember that the problem with using soap is in the water, not the soap. You just need to solve the problem of the hard water, and soap is fine to use. There are two ways to solve the problem of hard water. If your water’s not too hard, just substitute soap for shampoo, and use any old cheapish conditioner. The conditioner will make the scales on your hair lie down, and let the last of the soap get rinsed out. You might have to experiment with different soaps and conditioners. Maybe some conditioner which is pH balanced is best. Some “good old” plain soap with no added water and perfume is probably best. Otherwise, you can add some weak acid at some point in the washing process. Since you need just a tiny amount, even cheap vinegar will do, without leaving a smell. You could make a soap solution out of soap and water, and add a bit of lemon juice. You could have a jug of water with a teaspoonful of vinegar in it, to rinse your hair with after soaping. There is no doubt that soap’s better for your hair, and you can use it if you compensate for hard water. What you need to check is the fact that the soap is made by cold press which ensures that the vitamins A & E present in the natural oils are not lost during the process of heating. Those Vitamins are a good for nourishment of your skin and hair. Besides when soap is saponified by cold press it leaves Glycerin in the soap, which prevents the hair from drying out. Some soaps are made via lye process and shouldn’t be used on the hair. Hair Care Is Your Shampoo Sulphate-Free? Time to Check Now!